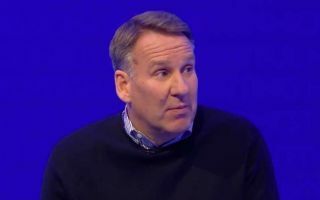 Paul Merson has opened up on his gambling addiction after suffering from a relapse and revealed details of just how bad things have got for him. It’s been well documented over the years that the Sky Sports pundit struggled with addictions during his playing days too, and it had been hoped that he put those troubles behind him. As he now enjoys a career as a pundit on Soccer Saturday with various appearances and columns too, there is undoubtedly plenty for him to be content with. However, he has revealed that his struggles with addiction continue, and goes into heartbreaking detail about just how bad it has been. “I’m struggling with life at the moment, struggling badly,” he says in an upcoming ITV documentary, as noted by The Sun. “Life’s fallen apart – gambling…I’ve just completely lost control, I’ve completely, again. “It’s so tiring it’s unbelievable. Mentally draining, just sitting there, thinking where am I going to get more money to do this? It’s hoped that with the help of this ITV show involving Harry Redknapp, coupled with the work commitments that he has, that Merson can find his way again and stay away from going back to his addictions. Further, it’s also hoped that he has the family and right people around him to help him do that as he also thanked his fans for their support on Twitter, as seen below.